Hello my name is Lawrence Vos and I am the author of this Blog. I am 39 years old, happily married, a dad of two beautiful daughters, and a Redskins fan since 1985. I live in Walmley, in the West Midlands, England, near to the Belfry Golf Course and the city of Birmingham. I campaigned for many years to see former Redskin wideout Art Monk get into the NFL Hall of Fame – and actually ran out into the street and screamed Yeeeeeeeeeeeeeeeeeees about 3 times when he was finally included into the Class of 2008. That’s 16 teams out of 32 (50%) and 5 NFL stadiums plus the neutral Wembley venue 5 times. Only 16 teams and 27 stadiums to go (well 26 as I’ve been to the Oakland Collesium to see the Oakland A’s play baseball). I also play in about 20 free NFL fantasy football leagues a season via NFL.com, CBS, and ESPN, so if you need an extra man hit me up. Feel free to contact me to talk some NFL football. Hey Vos! Nice site. I bookmarked it to check back in from time to time. Cool site. Keep up the good work. Do you have Tix for Saints-Chargers? Powaybolt thanks for the comment – yes fortunately I do have tix – I booked a day off work to book them, and it was such a relief when I managed to get through in the morning to book them – vey expensive though. Nice site, ill check it constantly and great for the tickets, its all worth. Great site Law..As a member of both of Law’s leagues I can vow that they are great leagues..Law you do a great job of running the leagues..They are very fun leagues and I am glad to be a part of both of them..Enjoy the game in October..Hit em in the mouth and have some fun..
Law- you da man!!!! Enjoy the AMFL. May have to give your other league a try. Go TEXANS!!!! Worst blog I have ever seen. Yo Lawrence! Finally got a chance to look at the site – really cool! I love the Mark Cohen interview, very insightful… I know Mark a little through work but never really knew he had such an involvement in the game – and just how good he is. Gonna look at the other pages later and check out the leagues too. 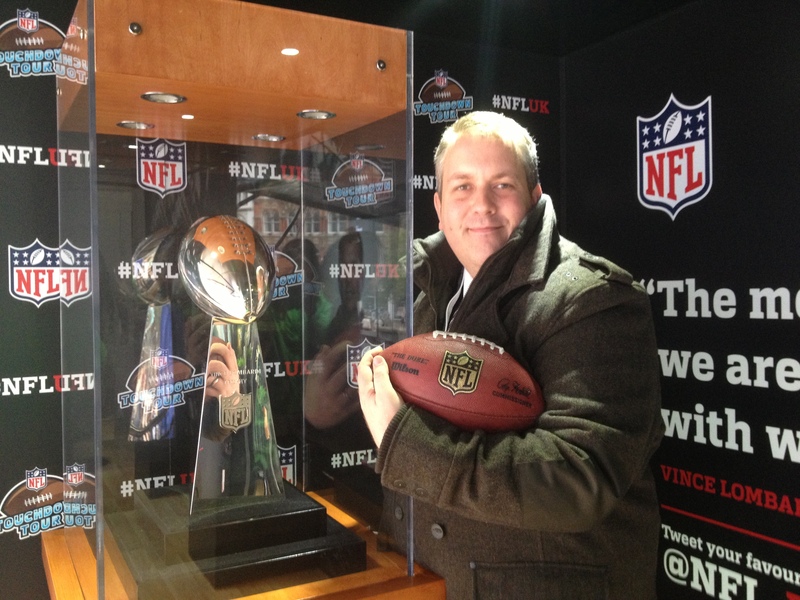 …My money is on the Steelers tonight, and I reckon Roethlisberger will get TWO rushing touchdowns! …didn’t you say you had a tenner on Arizona? ..never mind mate, its only money!! Chicago Pears for the Hall of Fame! Just started my website a few weeks ago and I’m slowly getting members to join. Lawrence, You just posted a link on my Steelers website. I was wondering if you could post mine permanantly on yours and I’ll do the same with yours on mine to create more traffic for each other. i just started mine a few weeks ago and I’m slowly getting members. Football is right around the corner and I’m hoping to have a good amount of fans from all teams to join. I like your site alot!! I read your story on the TO cereal box and all about how you wanted the Flutie Flakes cereal. Well, have you considered eBay? There are SEVERAL reasonably priced Flutie Flakes original edition boxes of cereal, never opened. Hi Lawrence, I’m a big fan of the blog. If possible could you send me a email at sportiseverything@hotmail.co.uk I’m based in Ireland and would like to talk to you about your writing.